Cyber bullying is a serious issue, which has reared its ugly head over the past couple of years in step with the development of social media and the appearance of new types of mobile messaging. One example is the story of Louise, a young girl who committed suicide in 2014 after falling victim to cyber bullies. 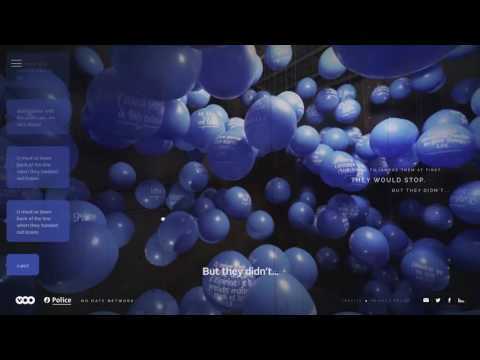 VOO, as an Internet and mobile provider, and Air have developed an interactive experience based on the contents of Louise’s phone. 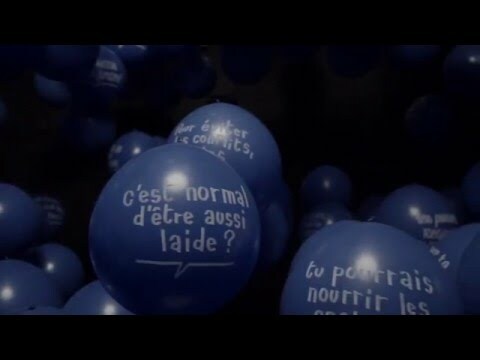 On the mini website ‘letelephonedelouise.com’, visitors can explore a real-life installation that features 600 balloons, each of which displays a hateful message. These balloons symbolise text bubbles (Texts, Whatsapp, Facebook…) and together illustrate the significant amount of messages the victim received in just 5 days. Visitors are guided through the experience by the voice of Louise’s father, who recounts his daughter’s story. Afterwards, visitors can take action against cyber bullying by signing and sharing a manifesto on the fundamental sense of respect for others online. The names of those signing the manifesto then automatically appear on the walls of the installation. Victims and witnesses of cyber bullying, in turn, will find all the necessary resources to successfully deal with this issue. We launched the website with TV spots and banners.